In honor of our military veterans, the Dept. of Veteran Affairs provides tuition assistance under the 9/11 GI Bill ® to schools that meet the stringent academic criteria. Veterans from all over the country are encouraged to take advantage of these schools and training programs to find positive and rewarding employment post-service. One of these programs is Veteran Adjusting School. VAS was founded with the specific purpose of training our veterans to become (CAT) catastrophic insurance adjusters. CAT adjusters have an extremely high earning potential in a career field that also helps people that have recently suffered a loss. A common phrase used among catastrophic insurance adjusters is, “make 6 figures in 6 months.” However, the income can range between $70,000 – $100,000 in 6-9 months during the storm season. Catastrophic adjusters are deployed to regions that have been affected by severe storms and catastrophic events (i.e. hurricane, hail storm, wildfire). As independent contractors for insurance agencies, a CAT adjuster will assess the damages that have incurred to customers, and evaluate how much compensation they are entitled to under their homeowners policy. It takes a unique individual to be able to be successful in the catastrophe adjusting field. A successful CAT adjuster must display characteristics that are typically ingrained into veterans during military service. A CAT adjuster must be hard-working, organized, dedicated, and self-motivated in order to excel in the catastrophe insurance adjusting field. Besides being VA approved for tuition assistance, VAS has a very comprehensive 6-week training program that has vets ready to start running claims for insurance agencies immediately upon graduation. VAS also has a 100% graduation rate and over 95% job placement rate. The reason VAS has such great job placement assistance is because of the high level of training the students receive at the school. VAS Insurance Partners hire graduates immediately upon graduation knowing that their skills are equal to 2 years work experience. CAT adjuster have a lucrative and rewarding career helping people in need. Do you have what it takes? Under the 9/11 GI Bill ® the VA will assist Veterans with school tuition for schools that have been approved by the U.S. Department of Veteran Affairs. This means that if you are a Veteran of the armed forces you can have most of your schooling paid for at one of these schools. (VAS) Veteran Adjusting School is a VA approved school that was founded on the principle of helping Veterans become fully trained catastrophic insurance adjusters. Why CAT Adjusting For Veterans? 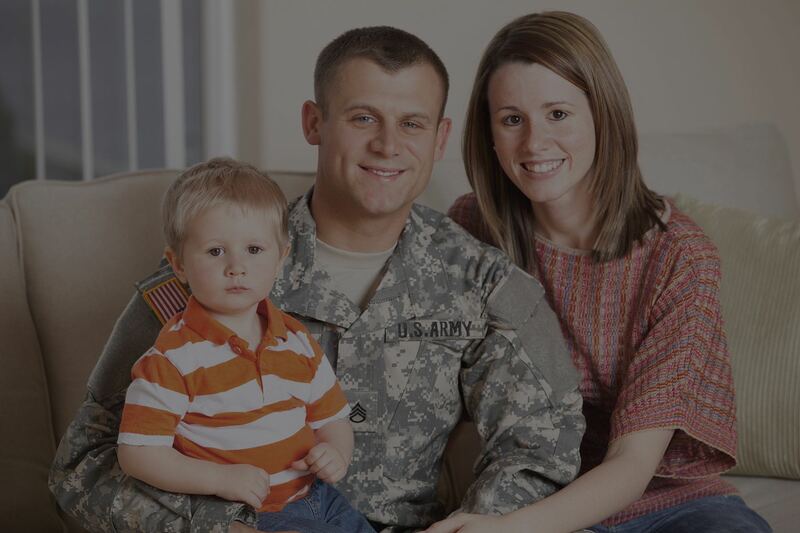 Catastrophic insurance adjusting is an ideal fit for Veterans. A CAT adjuster will typically make between $70,000 – $100,000 in 6 – 8 months during the storm season. They make their own hours but must have a specific set of skills that are instilled at every level of the armed forces. A CAT adjuster must be hard-working, self-motivated, organized and dedicated. When a catastrophic storm (hurricane, hail, etc.) hits a region, insurance companies need to send out independent contracted CAT adjusters to assess the damages to the policyholders’ properties. The adjuster will leave on a storm deployment going from house to house estimating how much compensation the homeowner is entitled to under their insurance policy. A catastrophic insurance adjuster is usually paid by the amount of claims they can close. This is why a more motivated individual can typically make 6 figures in 6 months. VAS is a 6-week intensive course that fully prepares students for storm deployment. With in-the-field training, software training, and mentoring (through and beyond licensing); it is the only VA-approved school for CAT adjusters. VAS has 100% graduation rate and 96% job placement rate. VAS works with Insurance Partners to ensure graduates will be hired upon graduation. In fact, many Insurance Agencies look for the VAS certificate to find adjusters that can deliver quality and comprehensive estimates. Are you a veteran looking for a career that can utilize your unique skill set? Catastrophic (CAT) insurance adjusting is an ideal option for veterans. A CAT adjuster will go to catastrophic events and estimate how much money insurance homeowners should be compensated under their policy. These adjusters can make 6 figures in one storm season. A storm season will typically last 6 – 8 months. Going to a catastrophic event can be difficult for some people. It takes dedication and a good work ethic. With long hours and unusual work conditions, it takes a certain breed to handle the job. That is what makes this job such a great fit for veterans. The military consistently produces people with a great work ethic in the toughest of conditions. With CAT adjusting, you make money based on the claims you close. So, you basically earn money based on how hard you are willing to work. That is why it is typical for a CAT adjuster to average “6 figures in 6 months.” The qualities of an adjuster that can do well in this field are self-motivation, organization, hard-work, and dedication. Natural disasters and catastrophic events are on the rise with no signs of slowing down. The increase in severe weather conditions is creating a high demand for qualified and fully trained catastrophic insurance claims adjusters. With a 100% graduation rate and a 96% job placement rate, Veterans Adjusting School (VAS) is your best choice for a catastrophe adjuster training program. VAS vocational training school, based in Sedona Arizona, has a complete program that takes the student from beginner to deployment ready in 6 weeks. VAS is Approved by the U.S. Department of Veteran Affairs for Veteran’s Educational Benefits, and licensed by the Arizona State Board for Private Postsecondary Education as Vocational School #V1531. The VAS school experience includes real-world simulations, mentorship through licensing, the complete adjuster tool-kit, laptops, Xactimate software training, and more. VAS mentors even help their students through their first claims to ensure that their estimations are configured correctly. Because of the high level of education provided by VAS, 15 insurance agencies have partnered with Veterans Adjusting School to provide their students with job placement after graduation. If you are interested in learning more about VAS insurance adjuster training program, click the button below to contact one of our mentors now.